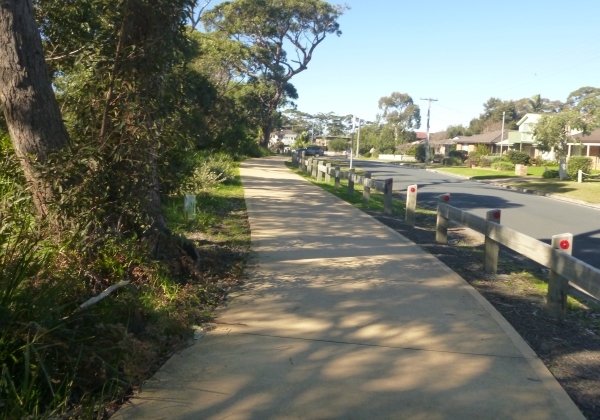 Shoalhaven Council have spent a large amount of money and almost a year building more shared path – shared between cyclists and pedestrians – down at Vincentia. It has been controversial, especially with the residents who live in this location. It is completed now and we took our first walk on it just over a week ago on an utterly gorgeous winter day. 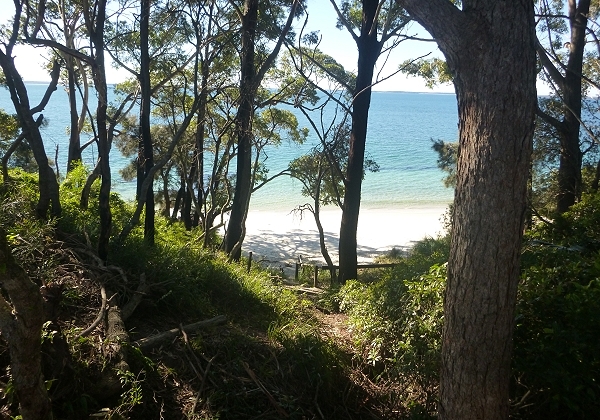 The path travels above Orion Beach, amazingly there are beaches in the Shoalhaven that I have not been to, and this is one of them. 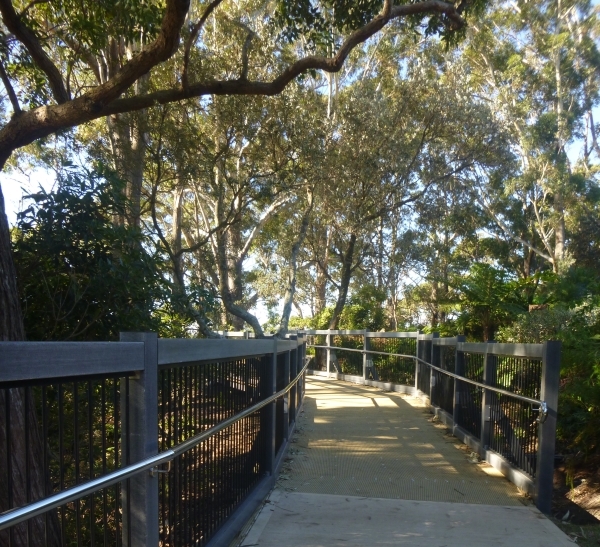 It meets up with some new concrete path, and that leads onto some bush tracks we had never walked before. This path really opened up new possibilities for us. 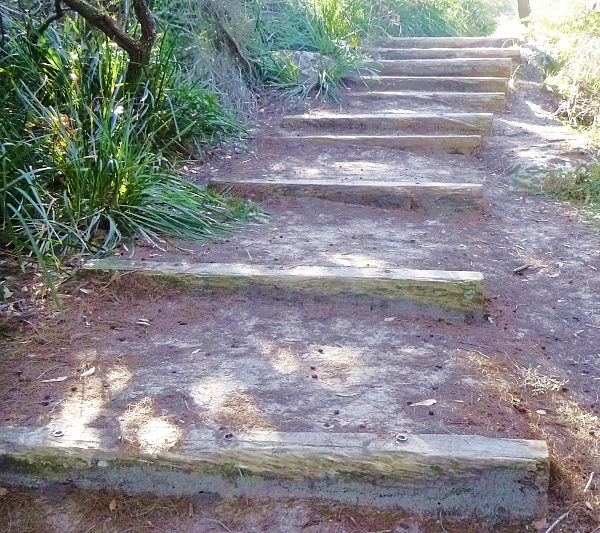 Here are some bush track stairs. 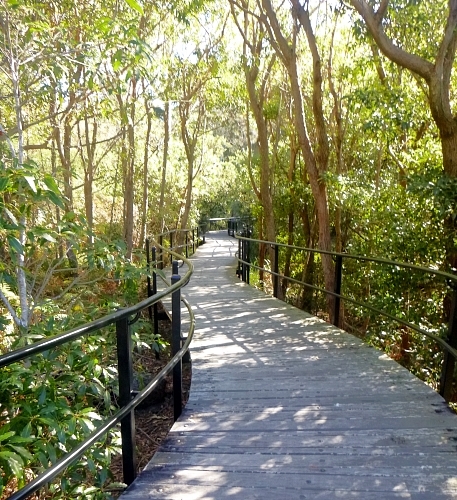 Here is a section of path near Greenfields Beach. We’ve walked here before but only by parking the car *at* Greenfields carpark. This was a whole new kettle of fish and it was great! 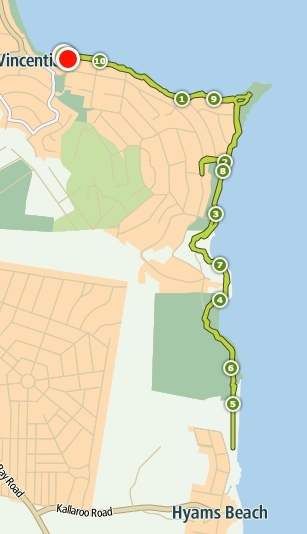 Almost to Hyams, we did a small beach walk just to round out our 5km because we ran out of bush track. 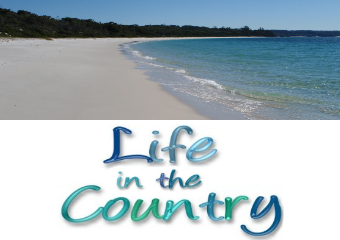 We ended up walking nearly all the way to Hyams Beach from Vincentia, a 10km round trip. Sometimes, progress is not popular but it is usually worth it in the end. I think this is one of those occasions. The bay is worth spending money on because it is a huge tourist attraction. Every time I go down there, there are people out enjoying themselves. Because it is a shared path it is popular with cyclists especially kids because there are no cars. Shared paths……can work but not where cyclists want to travel at higher speeds. Nevertheless, the very expensive path looks good. It is a very nice path, look like the time and expense were worth it. I would be out there every day (every day there weren’t crowds, that is).